Great setting powder. Use kabuki brush. This product is AMAZING especially for oily skin. Keeps skin soft looking and shine free for a long time. Worth the price too! & You won't need a colored powder, just use this over liquid foundation and you're set! The Select Loose Powder is alright, but it makes me look somewhat cakey and it made my skin look dry sometimes. I am a HUGE fan of MAC makeup but i dont care too much for their loose powder. It doesnt blend well at all. 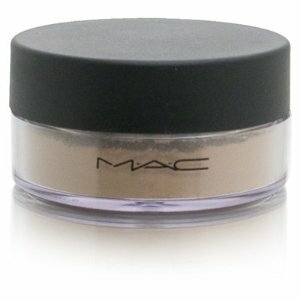 I love MAC makeup - the loose powder isn't my favorite product.. i prefer a pressed powder compact.. The first day I used it, it was great. Then, I started breaking out on my forehead.. it was terrible. Right after that, I went back to CoverGirl TrueBlend Mineral Powder. Skin is fine now. It's a great powder with great coverage, just not for my skin.